Observation - Luzula - UK and Ireland. Description: Flowering plant growing on vegetative layer of leaf litter on sloping woodland ground. 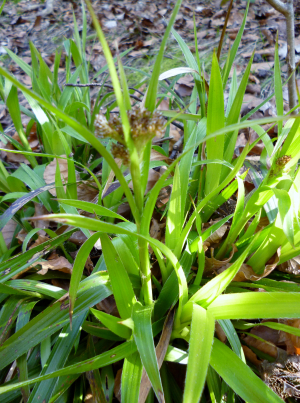 Flowering plant growing on vegetative layer of leaf litter on sloping woodland ground.